India's first indigenously developed 500-megawatt (mw) Prototype Fast Breeder Reactor (PFBR) at Kalpakkam in Tamil Nadu is expected to achieve criticality in 2019. It was stated by Sekhar Basu, Chairman, Atomic Energy Commission (AEC) and Secretary, Department of Atomic Energy at the 62th General Conference of International Atomic Energy Agency (IAEA) in Vienna, Austria. The indigenously developed PFBR is now undergoing sodium commissioning. What is Criticality of Nuclear Reactor? It is an event of nuclear reactor reaching self-sustained chain reaction. This means that no external source of neutrons is required to sustain fission in the reactor core. It is a precondition of producing useful amounts of energy from the reactor. PFBR has been designed indigenously by Indira Gandhi Centre for Atomic Research (IGCAR). It is a pool-type reactor with 1,750 tonnes of sodium as coolant. It is designed to generate 500 MWe of electrical power, with operational life of 40 years. It generates power by burning mixed uranium-plutonium MOX fuel, a mixture of PuO2 and UO2. PFBR at Kalpakkam was earlier expected to be commissioned in 2012, but has missed several deadlines. PFBR design is build on decades of experience gained from operating lower power Fast Breeder Test Reactor (FBTR). It comes under the second stage of India's three-stage nuclear power programme. Bharatiya Nabhikiya Vidyut Nigam (Bhavini), a public sector company under DAE, has been given the responsibility to build these reactors. 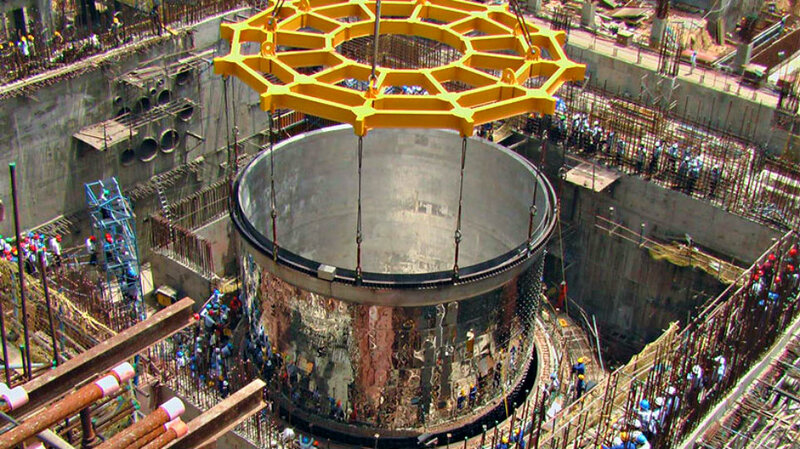 India is planning to build 21 such reactors by 2030. Q. Where is India's first indigenously developed 500-megawatt (mw) Prototype Fast Breeder Reactor (PFBR) situated that is expected to achieve criticality in 2019?